Wash day was such a dream. I'm a few days late on this post, but just like that - week 2 is in the books! I've been having so much fun with the Black n' Curly Challenge. Every wash day, I stand in front of the shelves housing these beautiful, Black Owned products, and marvel at how far we've come in so few years. The proliferation of hair care products for us, by us is nothing short of a miracle of God. I hope you're finding as much joy in using Black Owned products as I am - because it's not just about having products made by women and men who look like us, and understand the unique needs of our hair. The natural hair space is one of the few corners of industry where we're regaining our agency and self-determination. As this challenge continues on, I hope that we're able to regain our footing all the way up the supply chain - to the point where raw ingredients, containers, printers, shipping materials - everything - is created by Black Owned manufacturing companies. But before I go too far down the rabbit hole, let's recap week 2. 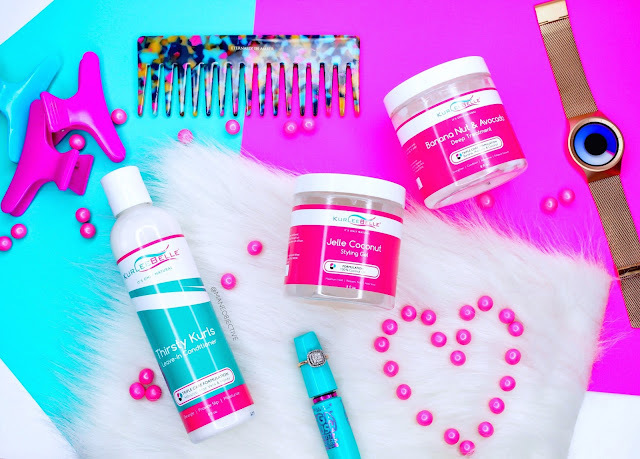 Talk about a treat for itchy scalp! I used the TRoots 5-in-1 Oil is a pre-poo massage treatment, and my scalp was in love! Thanks to oils like avocado, jojoba, and botanical extracts of yarrow, sage, horsetail, nettle, and rosemary, my itchy scalp was calmed while my follicles were nourished to stimulate blood flow and growth. Plus my hair was sooooo soft and ready for washing the next morning. I feel like I reviewed this before (yep, here) - but it's been soooo long. And I'm so in love. Koils By Nature Refreshing Anti-Dandruff Hair & Scalp Cleanser is perfect for naturalistas who love the suds, but can't get down with sulfates of any kind. This beauty is based in botanicals and castille soap, delivering just the right amount of bubbles, without drying the hair out at all. Great slip, tons of moisture, and a clean scalp. What more could a girl ask for? My henna mixes call for oils, and Koils By Nature Replenishing Hair and Body Oil is all I ever wanted. A powerful blend of apricot, rosehip, calendula, argan, and more, this oil made a perfect match in my henna mix. The oil left my hair feeling super soft, shiny, and moisturized - successfully combatting the drying nature of henna. Plus I absolutely LOVE that the oil is fragranced with only essential oils - yup! Soft notes of bergamot, rose, and vanilla all up in this thang. I used the Babassu Detangling Conditioner twice - once as a leave in while I went to the gym (it was the only product in my hair), and once again in my henna mix (video on the way). 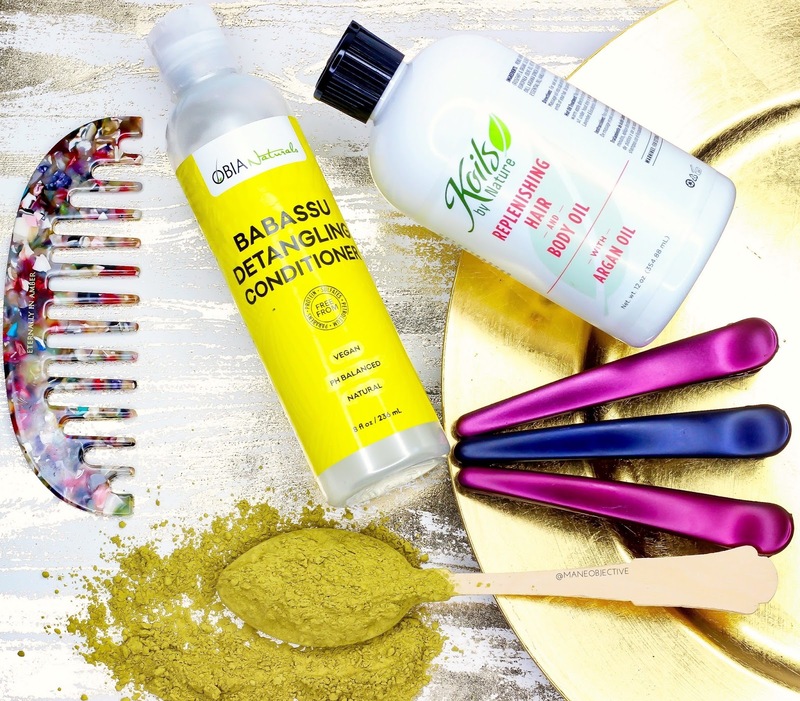 Both times, I was impressed with the Babassu Detangling Conditioner - so much so that I'm looking forward to trying it out as a leave-in (you know I'm hard-headed lol)! Another transitioner throwback! I'm not ashamed to admit that I went to the dog park with Bailey while deep conditioning with Kurlee Belle. It served me well too - my hair was super soft after rinsing. Catch my throwback review here! I love how rich and creamy Thirsty Kurls is without being super greasy or difficult to work with. In fact, it served me well as my leave-in for this bangin' wash and go! 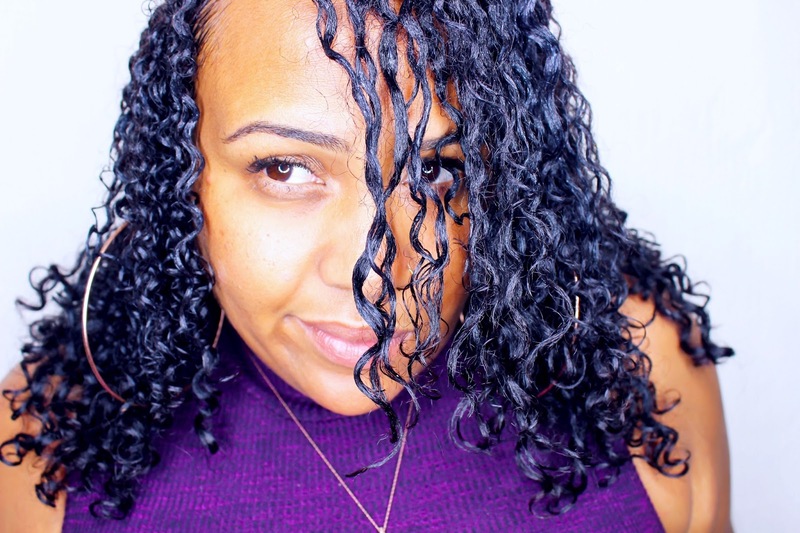 Paired with Jelle Coconut Styling Gel, I had the perfect mix of definition on day 1, and volume in the days that followed - without needing to re-moisturize my hair. Make sure you catch the vlog! As my hair regains health, I'm beginning to have a new appreciation for products like Jelle Coconut. The gel is heavy and thick in weight, but dries to a more medium hold. It provides touchable definition, shine, and hold without the super crunch. Don't get me wrong - I still rocks with my gel cast. But having soft hair on Valentine's Weekend definitely was the move, lol. By the way, click here to check out my Valentine's Weekend GRWM+Vlog featuring Kurlee Belle products! I was about two weeks behind on my monthly henna treatment, and my scalp was cussin' me out! So I got on board, and while I don't have a Black Owned henna supplier (yet! ), I was sure to use my Black n' Curly products in the mix - Koils By Nature and Obia Naturals. My henna mix was soft, moisturizing, and did the darn thing! I filmed the whole process - so look for that video soon! You see that crown behaving (kinda) lol! Thank God for Koils By Nature and that slip in the Refreshing Anti-Dandruff Hair & Scalp Cleanser...because my hair just wasn't having it. On wash days is when I notice that my hair is in some sort of transitioning phase...again. I admit that while I haven't been pressed about silicone use in the past, they've definitely been my bridge over troubled water when it comes to growing out my color damage. And although I see the light at the end of the tunnel in terms of the health of my hair, the absence of 'cones "unmasks" the damage cover-up job on the end of my hair. Without cones, the last inch and a half or so of my hair is...rough. Slip isn't a matter of convenience at this point, it's a necessity. I'm hoping that in the coming weeks, my ends will "settle down" and make things a bit easier for me. I know the cuticles are damaged from the color. I know the pH on the ends of my hair is way high. My game plan is to continue alternating between moisture and protein deep conditioning, become even more diligent in sealing my ends, keep my ACV rinses strong, and trim as necessary. 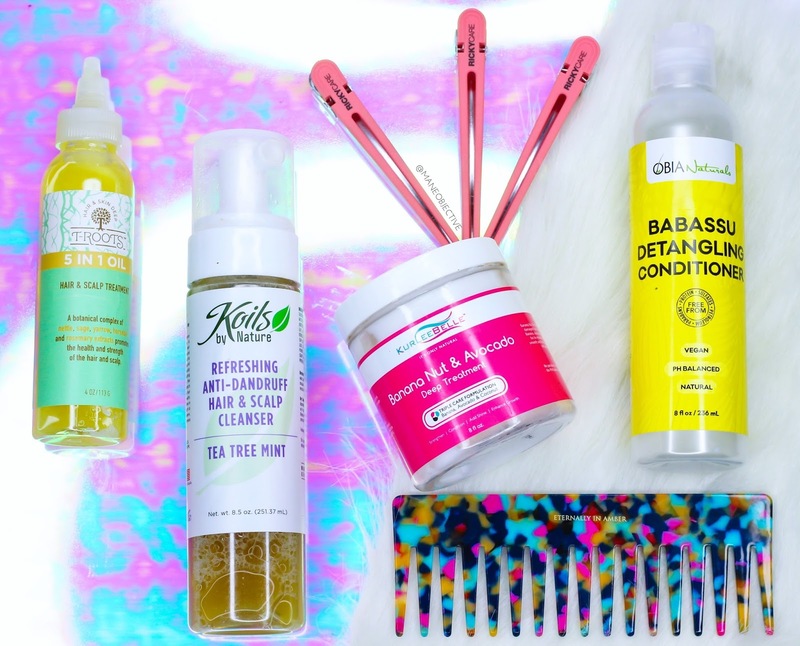 Next week, I'm test driving new products from Jane Carter Solution, and putting my own spin on goodies from Soultanicals, TRoots Beauty, Wonder Curl, Shecentit, and Inahsi Naturals! Stay tuned! Oh - and did I tell y'all that I've been drowning my skin in Koils By Nature Hair and Body Butter every day? Walking around smelling like sugary sweet realness. I'll tell ya. Got any questions about this journey to going Curly Girl and using only Black Owned products? Leave 'em in the comments below! 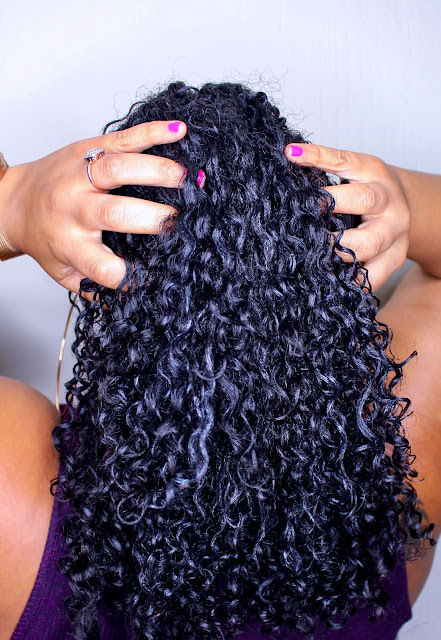 Keep up with all things Black n' Curly here!